Lorelai Kude, MA is an astrologer, writer, multimedia communicator, and educator. She works with an international clientele of individuals, couples, families and groups via phone, Skype, and in-person, providing insight and tools for personal growth and development. Lorelai's interest in astrology began as a teen in the 1970's when she first read the New York Times best seller, Linda Goodman's Sun Signs. Quickly realizing that the "Sun sign" of an individual birth chart was only a small part of the big picture, Lorelai pursued her knowledge of astrology by researching every esoteric source available, and doing charts for her family, friends, and colleagues. She began her career as a professional astrologer in the 1980's, and has done thousands and thousands of charts over the last 30-something years, while collecting data on the behavior patterns and modalities of clients, developing her ability to spot "markers" for personality types and predisposition. After moving to Jerusalem from Southern California in 2007, Lorelai began studying Torah in-depth with some of Jerusalem's best teachers and rabbis, and begin to apply Jewish symbols and archetypes to her readings. She spent significant time in the Kabbalistic city of Tzfat in northern Israel, where she began to study the Sefer Yetzirah, and other classical Hebrew astrological sources. Lorelai holds a BA in Journalism with a Minor in Religious Studies from San Francisco State University. From her roots in investigative reporting she went on to work in advertising and enjoyed an award-winning career in media. Lorelai is a graduate of Berkeley's Graduate Theological Union, where she focused on Jewish mysticism in general and astrology in Jewish cultural history in particular. She received her Master's Degree from GTU's Center for Jewish Studies in 2018 after successfully defending her thesis, "Yesh Mazal L'Israel: Astrology and Identity in Jewish Culture." 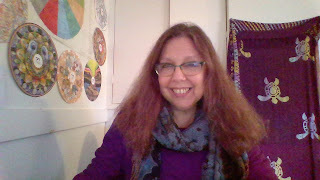 Currently writing a book about Jewish astrology (due out in 2019), Lorelai is the founder of the Institute for Jewish Esoterica, a non-profit organization dedicated to education and research in the field of the Jewish mystical tradition. IJE's first international educational conference is scheduled for Jerusalem in December 2020. Lorelai is available for consultations upon request. J.: You’ve been an astrologer for more than four decades. How did you get involved? Lorelai Kude: I got into astrology in ’71 or ’72 when I read Linda Goodman’s “Sun Signs.” When I started learning about astrology, I was very interested in how patterns added up. Astrology is not just a sun sign; it’s about how the planets in all the houses relate to each other. So I started doing all my friends’ astrological charts. This was back in the day when you had to calculate a chart by hand using a compass and a protractor! J.: How did Torah become part of your astrological readings? LK: Before I started learning Torah, I always read the Tanakh. That’s always been my book of choice, even before I became observant. I noticed in the Tanakh that in the Book of Numbers Chap. 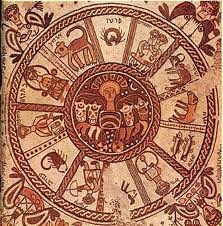 2, the 12 tribes were arranged just like the 12 signs of the zodiac, because each tribe is associated with a month. It was like a big light went off in my head when I figured out a connection between Torah and astrology. I thought, “This is really good,” so I developed “reflective rectification astrological analysis.” I look at someone’s charts and teach them about their wiring systems and the unique journey of their soul. J.: Have you run into any skeptics in the observant Jewish community because you combine Torah and astrology? LK: Of course I’ve met a lot of people who said I can’t do astrology because it is against the Torah. But I’ve countered, “How could it be?” It’s so obviously from the Torah. I went through several years of getting sources from the Torah, Talmud and other rabbinic writing. There are many places in the Torah, and elsewhere, where it says that HaShem created the stars and heavens as energetic lenses. J.: Have you convinced any skeptics? LK: Yes, I’ve managed to win over all but a really small handful. 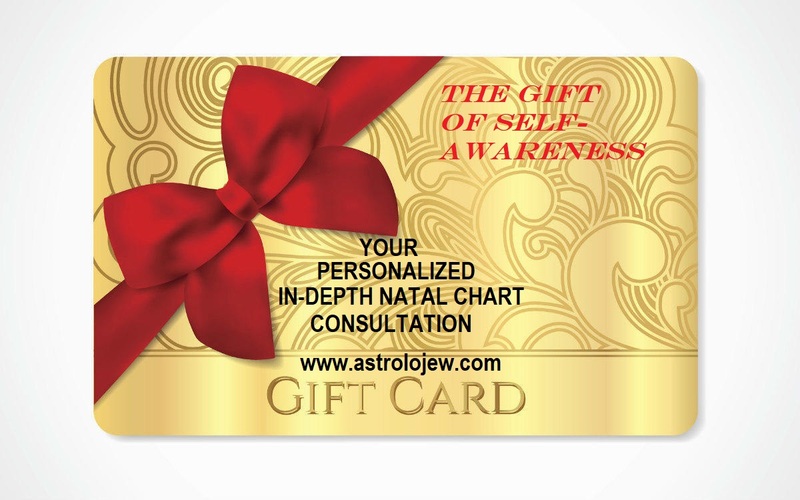 I’ve had rabbinic approval from trusted Orthodox rabbis and done astrology for them and their families. Everyone who knows me, knows I do holy work. J.: You recently moved back to the Bay Area after making aliyah in 2007. What brought you back? LK: My daughter had twin boys and lives in Oakland. I overcame many obstacles and achieved my dream of living in Israel, but I wanted to be around my grandkids. I’m the only one who is observant and fanatical about Israel in my family. My kids were already grown when I made aliyah and no one was interested in living there. I’m learning what it’s like to survive your own dream come true. What’s my next dream? J.: While you were living in Israel, you went back and forth between Jerusalem and Tsfat. What were you doing there? LK: At first I was settling into the land and peeling off layers of the onion. People move to Israel with expectations about how life should be, and then Israel schools you. It gives you a lesson. I also went to ulpan [intensive study of Hebrew] very unsuccessfully. I am one of the most famous ulpan dropouts. I have been dropping out of kita alef [the first stage of ulpan] since 1974! J.: You also started a radio station? LK: Yes, in 2009, I co-founded Radio Free Nachlaot. We used to broadcast from the Nachlaot neighborhood in Jerusalem. It’s an Internet radio station with music, talk and Torah. We say it’s where Rabbi Shlomo Carlebach meets Jerry Garcia. We have listeners in 93 countries and broadcast 24/6. We are on the air every day except Shabbat and chagim [Jewish holidays]. I just started an astrology show this month. J.: How would you describe your religious affiliation? LK: I was raised Reform, but my dad says that I’m now a “kippie,” which is a kosher hippie. I keep Shabbat and kashrut and self-identity as Orthodox, but I’m not haredi. I don’t like the word “Orthodox” per se, because it means so many things to so many people. I like to say I’m a regular Jew.